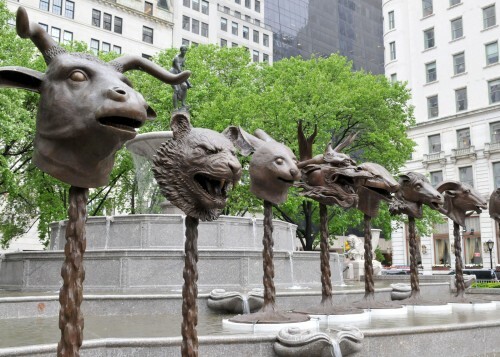 Manhattan’s Grand Army Plaza has been overrun with a menagerie of sorts: the installation of Ai Weiwei’s Circle of Animals/Zodiac Heads. This is the first major public exhibition in America for the Chinese artist. 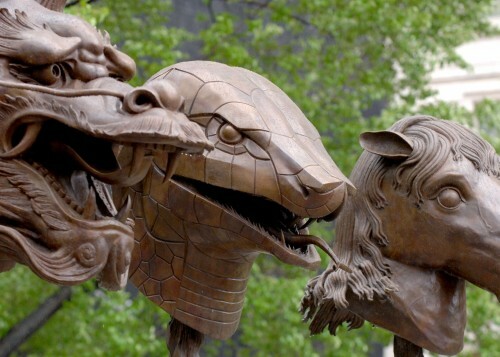 This site specific installation is a modern reinterpretation of the 18th century Yuanming Yuan fountain-clock that featured 12 animals of the Chinese zodiac spouting water. With this project, Ai explores the “fake” in relation to the original sculptures (which were ultimately pillaged by French and British troops in 1860; five of the original heads are still missing). 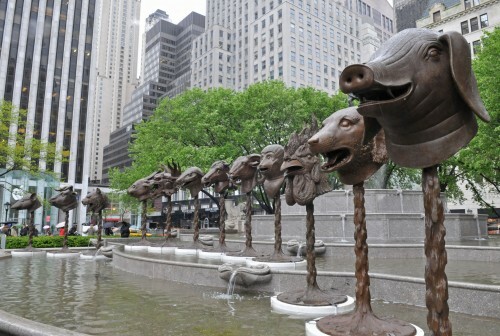 In this version, 12 oversized bronze animal heads ring the Pulitzer Fountain, each weighing approximately 800 pounds. While this project explores some rather esoteric themes, it is accessible and “a work that everyone can understand, including children and people who are not in the art world,” said Ai, who collaborated with Herzog & de Meuron on the Beijing National Stadium for the 2008 Olympics.